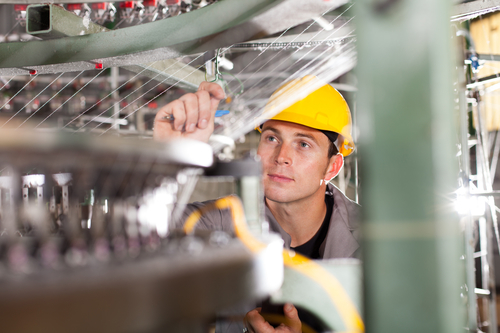 You have begun to realize that your manufacturing business needs a software solution. You’ve probably heard the acronyms MRP and ERP being discussed in conjunction with these manufacturing software packages. Initially, MRP started out meaning material requirements planning. And as the name indicates, it was designed to help businesses plan for the types and quantities of materials they would need for a project. They were useful as forecasting and ordering tools because they ensured that the right materials in the right quantities were available for production on the right date. In addition to providing a bill of materials and tracking inventory, the original MRP software could produce a master production schedule for manufacturing a part or component. This MRP software was available during the 1970s and did not incorporate any other processes. By the 1980s, MRP had evolved into manufacturing resources planning and was now combining production planning and reporting, human resources and, of course, inventory into a comprehensive planning process. This new and improved version of manufacturing software was referred to as MRP II in the beginning, but it wasn’t long until everyone understood that MRP stood for the integration of all these processes combined with the help of computer technology. The MRP system of 2019 includes capacity planning, scheduling, control on the shop floor, and a variety of calculations, including financial calculations. It allows for input from several departments real-time information throughout the shop and offices. The advantages to manufacturers can be significant, giving them the means to compare their forecasts to actual data, analyze performance, and improve their processes for increased efficiency. How does MRP work in practice? MRP begins with a schedule for a customer order. The system converts the information into schedules of requirements for the parts, subassemblies, and materials needed to produce the final product within the established schedule. It also takes into consideration the shop’s workstation schedule and allocation of labor throughout the plant. What is ERP and how does it differ from MRP? Enterprise resource planning (ERP) came on the scene in the 1970s and was marketed as a suite of software that would capture all the processes of MRP—production planning, scheduling, inventory management–while also incorporating applications such as human resources, payroll, customer relationship management (CRM), and financial management. ERP evolved as a financial software, so usually it didn’t replace MRP. While ERP can support most types of business processes, the software is much better suited for large businesses. With the integration that is needed for those processes and departments in big companies, an ERP system might be their choice of software for its capacity for managing considerable amounts of data. For the small to medium-sized company (and even some large corporations), a stand-alone MRP solution will work well. Is it overkill to purchase ERP for your business? Of course, the answer to that is subjective. Your business is unique, and only you understand your processes completely. There is also the matter of your budget to consider. ERP systems take on more processes but at a price that is typically prohibitive to smaller companies. Implementing ERP software is complex and time-consuming while putting an MRP system into operation is much less involved. Manufacturing accounting: Real-time information on your inventory and the cost of goods sold. 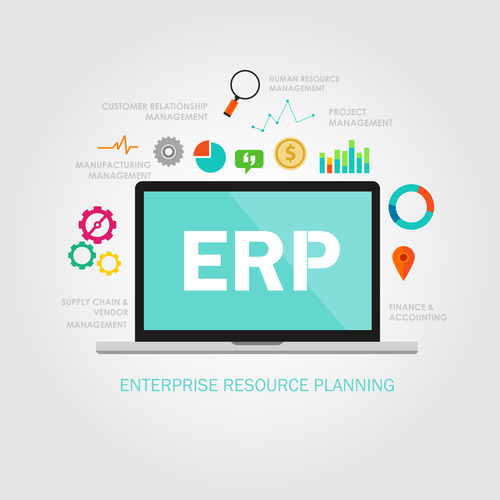 For large businesses, enterprise resource planning software (ERP) might make sense. It will consolidate your data and integrate your business processes. Your data will be safe and accurate, and the collaboration between departments will be improved. But if you’re a smaller manufacturer, a stand-alone manufacturing resources planning system (MRP) will benefit your manufacturing organization without the added modules and extra expenses that come with an ERP system. As you can see from the comparisons above, the distinctions between MRP and ERP might not be a major consideration for the small manufacturer who primarily wants greater control of the shop floor, inventory, and scheduling. You may also like our article about 10 Things You Need to Know Before Buying Manufacturing Software. You need to have a complete and up-to-the-minute picture of where you stand in all these manufacturing processes. These areas depend on one another and need to be working together. And they will be included in a quality MRP software system. What is the “bottom line” on MRP for your small business? Small manufacturers can experience the benefits of an MRP solution without the added costs of an ERP system, which can include a full-time IT department to support it. Supervisors can issue accurate work orders through the MRP that will take into account equipment capacity, workforce availability, and material requirements. Others in your organization who will reap the system’s advantages are the salespeople who are responsible for supplying accurate quotes and delivery dates to their customers, inventory managers, your purchasing department, production planners and managers, and your workers on the shop floor. ERP is a powerful tool for corporations that need and can afford its many features. MRP systems target the needs of the small manufacturing company that is looking to become more efficient and profitable. A remark from the editor: MRPeasy software is a so-called Manufacturing ERP at present, as it has rich Production Planning and Control functionality together with a built-in Standard Accounting module.